I spent the next ten years after taking my first implant course from Dr. Brånemarklearning how to use dental implants in my practice. The introduction of a workable dental implant came with a totally different option in treating my Prosthodontic Patients, an option that eventually led to utilizing more fixed restorations and much much less removable restorations. It was a time where manufactures and dentists introduced many different implant designs and many variations of the Prosthodontic Implant Restoration. It was a time of experimentation, coupled with a great deal of continuing education and findings of both success and failure. I was in the first class in North America to be trained in the Brånemark Dental Implant technique. It was held in Toronto in 1983 and very well attended by dental specialist, mostly from the greater New York area. It was a three day course taught by Dr. P. I. Brånemark and Dr. George Zarb, a Prosthodontist, and it truly changed the professional careers of many of those in attendance. I was trained in the Prosthodontic applications of the implant technique and went home afterwards to work with a variety of surgeons to restore my patients with dental implant restorations. For the next twenty-five years, I perfected my Prosthodontic work with dental implants and incorporated dental implant surgery into my own practice. My experience over that time period involves the restoration and placement of more than twenty thousand dental implants of various types and brands and clinical experience with a wide array of patient needs. The completed restoration is a stable implant/tooth restoration. The bite has been opened from the pre-operative condition. The patient's anterior teeth have stabilized and are deemed maintainable at this point in time, although future work may involve the replacement of the maxillary anteriors. Photo and x-ray on this page show a three year result. A dental implant is really a very simple metal screw which is designed to thread into the bone of the jaw and to allow for the attachment of a (prosthetic) tooth at the top. Implants are made of Medical grade Titanium or Titanium Alloy. Your dentist will purchase the implants in sterile packaging and place them in a small hole in the bone which he or she has prepared as part of the implant placement procedure. The bone will fuse to the implant over a short period of time in a process referred to as 'osseointegration' and once this process is successfully completed (3 to 4 months) the implant is permanently in place. The problem is not the restoration per se, but rather, the bacteria which will always find shelter in the interface between the restorative margin and the tooth structure. The presence of bacteria and their associated toxins within approximately 2mm of the boney margin will cause and inflammatory response in the soft tissue and an eventual apical migration of the entire periodontal complex (gingiva, periodontal ligament and bone). The purpose of this paper is to discuss the phenomenon of biological width as it pertains to dental implants and to look at any contributing factors in the re-establishment of biological width that may be attributed to dental implants alone. Dr. Brånemark changed my life in 1984 with his introduction to a workable dental implant, an implant with up to a 98% success rate. Before his research, implants had an extremely high failure rate and were not really usable for our patients. 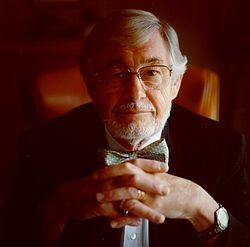 Dr. Brånemark developed and nurtured modern dental implantology. He taught dentistry how to truely help our patients and how take hopeless situations and turn them into success. He will be missed.